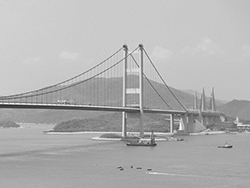 The Hong Kong Stock Exchange published its Environmental, Social and Governance Reporting Guide (the ESG Guide) in August 2012 following a public consultation and the ESG Guide is now incorporated in the Main Board Listing Rules at Appendix 27 and in the Growth Enterprise Market (GEM) Rules at Appendix 20. The Exchange has published FAQs on ESG reporting which are available on its website at http://en-rules.hkex.com.hk/net_file_store/new_rulebooks/f/a/FAQs_mb_appx27.pdf. When first introduced, adoption of the ESG Guide was voluntary. However, with effect from 1 January 2016, the ESG reporting obligations are “comply or explain” (with the exception of the “comply or explain” upgrade of the Key Performance Indicators (KPIs) in Subject Area A, “Environmental” which will come into effect on 1 January 2017). Main Board Rule 13.91 (GEM Rule 17.103) refers to the ESG Guide in Appendix 27 (GEM Appendix 20), which now consists of two levels of disclosure obligations: (a) comply or explain provisions; and (b) recommended disclosures. Listed companies are required to state in either their annual reports, in separate ESG reports or on their company websites whether they have complied with the comply or explain provisions in the ESG Guide. If a listed company has deviated from, or does not report on, any of these provisions, it is required to provide considered reasons for doing so. Reporting on the recommended disclosures is voluntary, but is encouraged. Listed companies are required to disclose ESG information annually, and the information must relate to the same period covered in the annual report. An ESG report may be presented as information in the company’s annual report, in a separate report, or on the company’s website. If the information is not presented in the company’s annual report, the company should publish this information no later than three months after the publication of its annual report. Irrespective of the format adopted for the ESG report, it must be published on the Exchange’s website and on the listed company’s website. the ESG report should state the issuer’s ESG management approach, strategy, priorities and objectives and explain how they relate to its business. It also states that the inclusion of a discussion of the issuer’s management, measurement and monitoring system for implementing its ESG strategy would be useful. Each subject area has various aspects (Aspects) which set out General Disclosures and key performance indicators (KPIs) for listed companies to report on. The General Disclosures under each Aspect apply on a “comply or explain” basis. Accordingly each General Disclosure requires issuers to set out their policies or information on their policies regarding the relevant Aspect. Some General Disclosures additionally require information on compliance with relevant laws and regulations that have a significant impact on the issuer in respect of the relevant Aspect. “Comply or explain” means that a company’s ESG report must contain the information required under the General Disclosures for each Aspect of the ESG Guide, or it must give considered reasons. The Exchange expects that explanations should be as full as necessary to meet stakeholders’ expectations and should be based on the company’s own unique circumstances. The KPIs under Subject Area A – Environmental – will apply on a comply or explain basis with effect from 1 January 2017. The KPIs under Subject Area B (Social) are Recommended Disclosures. Disclosure of these matters in ESG reports, as the name suggests, is recommended, but the company does not need to give considered reasons if this disclosure is not made. This is the threshold at which ESG issues become sufficiently important to investors and other stakeholders that they should be reported. Whether a particular ESG issue is material is a matter of judgment that depends on the facts involved and the circumstances of the specific issuer. Issuers should bear in mind that materiality can have different meanings for different stakeholder groups. It is up to the issuer to identify its material ESG issues, with reference to the views of its key stakeholders. The Business Environment Council’s “BEC Handbook: Understanding Materiality for Environmental, Social and Governance Reporting” (http://bec.org.hk/files/images/BEC_advisorygroups/BEC_ESG_Handbook_web.pdf). KPIs need to be measurable. Targets can be set to reduce a particular impact. In this way the effectiveness of ESG policies and management systems can be evaluated and validated. Quantitative information should be accompanied by a narrative, explaining its purpose, impact and giving comparative data where appropriate. The ESG Report should provide an unbiased picture of a listed company’s performance. Companies should use consistent methodologies for meaningful comparisons of ESG data over time. Which operations/subsidiaries should be included? The Guide does not prescribe which entities in an issuer’s group and/or which operations should be included in the ESG report. An issuer should decide on the operational boundaries of its ESG report in view of its individual circumstances. An issuer should disclose the operational boundaries of its ESG report and, if there is any change, explain the difference and reason for the change. In relation to determining operational boundaries for reporting on greenhouse gas (“GHG”) emissions, issuers may refer to the “Guidelines to Account for and Report on Greenhouse Gas Emissions and Removals for Buildings (Commercial, Residential or Institutional Purposes) in Hong Kong”, published by the HKSAR Environmental Protection Department (“EPD”) and Electrical and Mechanical Services Department (http://www.epd.gov.hk/epd/english/climate_change/files/Guidelines_English_2010.pdf). The Guide sets out minimum parameters for reporting with a view to facilitating issuers’ disclosure and communication with investors and other stakeholders. Issuers may adopt international standards or guidelines, such as the Global Reporting Initiative’s G4 Sustainability Reporting Guidelines, CDP’s Climate Change Information Request and Water Information Request, the International Organization for Standardization’s Guidance on Social Responsibility, and the Corporate Sustainability Assessment for inclusion in the Dow Jones Sustainability Indices. To avoid duplication, adopting international reporting standards or guidelines that contain comparable provisions to the ESG Guide should be sufficient compliance with the Guide without the need for further explanation. However, issuers that report on international standards or guidelines should make clear which “comply or explain” provisions and recommended disclosures of the Guide they are reporting on. Issuers with the capability are also encouraged to go beyond the ESG Guide to adopt international reporting guidelines and make additional disclosure. There are a number of resources available on the Hong Kong Stock Exchange’s website on how to prepare an ESG report. These are available at http://www.hkex.com.hk/eng/rulesreg/listrules/listsptop/esg/howtoprepare.htm. They include a toolkit which contains a materiality matrix tab that companies may use to process their results of internal and external assessments in order to find a recommended reporting scope.